Brooke and Summer head over to the housewares department of the Goodwill. They give their tips on finding lamps, fabric, art, dishes, furniture and unique pieces for your house. Have you found any cool pieces for your house at a thrift store? Head over to our facebook and upload your treasures. Happy Thanksgiving from the Girls With Glasses Show! We want to know what are you thankful for? 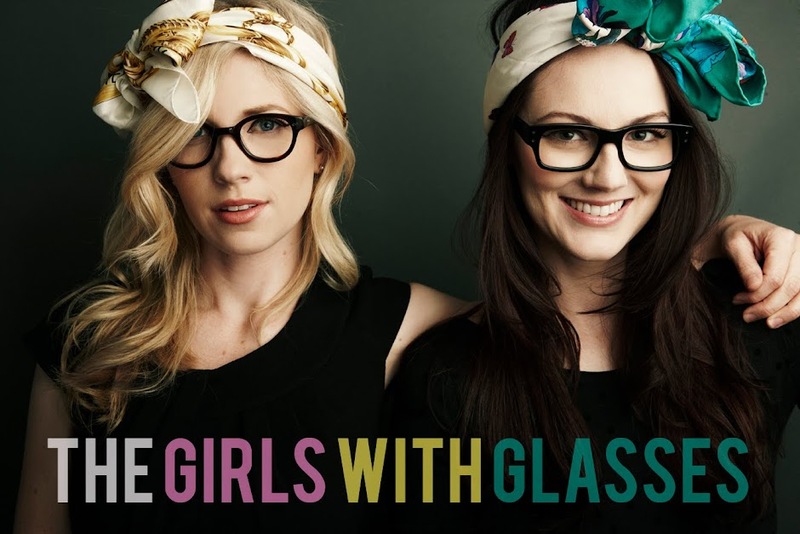 We are looking to add an intern to the Girls With Glasses team. Watch the video and email us if you're interested. 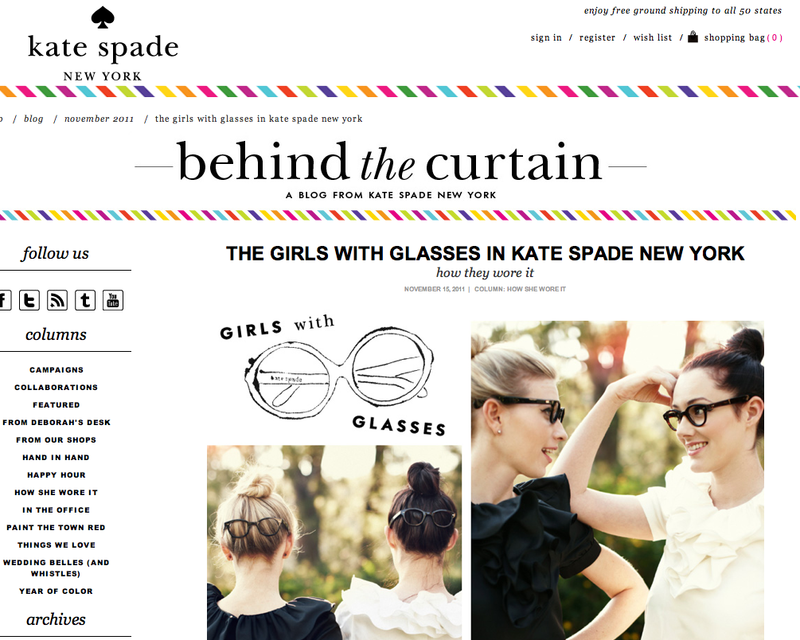 Check out who's on the Kate Spade website! 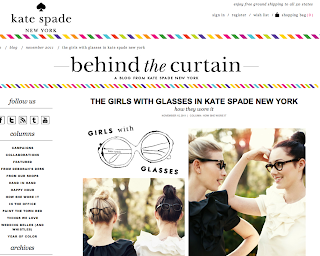 Brooke and Summer were spotted wearing these lovely Kate Spade blouses. Get more info on them here. In our next video, Break It To 'Em, we show a humorous situation regarding a very unique jumper. The video is silly, but the situation happens. How many times have you been shopping with a friend and she tries on something that she doesn't look good in? It can be easy to be honest if she's on the fence, but if she loves it, that could be a touchy situation. You don't want to make her feel bad about her body, or her sense of style, but you also know a true friend doesn't let a friend look bad. In the video we show a few ways to tackle this situation. Start by complimenting her: "You look great," or "That color looks good on you." Then explain plainly why the outfit is a no: "The fit is wrong," or "The detailing makes it feel outdated, to me." This being said, part of what makes the world interesting is diversity. You're friends don't have to have your exact style. Don't tell them no, just because you wouldn't wear it. If it looks good on them, and looks like how they want to present themselves to the world, go with it. Here at The Girls With Glasses Show, we encourage individuality. The first video is our introduction to this weeks videos, all about thrifting. Are you a recessionista? If you are on a budget, but still want to look stylish, then the answer is yes. This next video gets into the tips and tricks of thrifting. 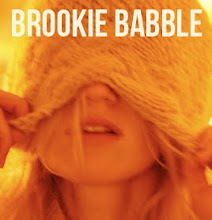 Brooke White and Summer Bellessa take you into Goodwill to help you make the best of your fashion budget. Do you love thrifting? Are these shopping tips helpful? The glasses in this video are from new company Mezzmer. And our background music is by JHunger.